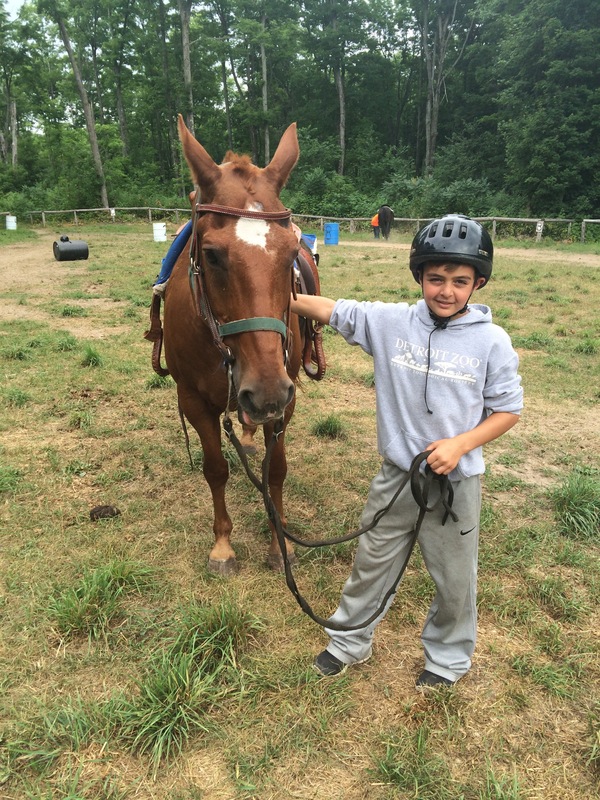 One of the most popular camp programs at CSM is our horseback riding program. For those campers who want to spend extra time focused on the horses beyond what the regular Boys’ Camp sessions provide, we offer a one-week Boys’ Horse Camp. (NOTE: We recommend boys also attend the regular Boys’ Two-Week Camp or Mini Camp in order to enjoy the full CSM camp experience.) Boys’ Horse Camp is centered around the corral, providing campers the opportunity to spend every day caring for, learning about, and riding these beautiful animals. The week begins with time for the campers to get comfortable around the horses, learning the do’s and don’ts. As the week progresses, many aspects of caring for a horse are taught: brushing, feeding, bridling, saddling, and even mucking the stalls!  Of course, your camper will also have ample time riding! 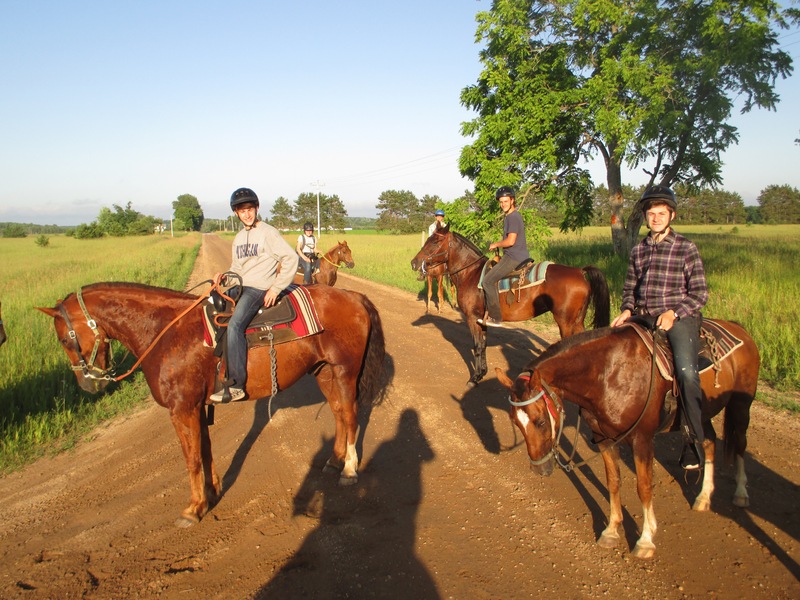 During Horse Camp, every camper will participate in two riding programs each day, with each lasting at least one hour. The Big Ride—A ride to beautiful Huffman Lake. This is a 26-mile relay ride off camp property, that will put all the skills learned during the week into practice. Road to The Final 4—This competition will test each camper’s knowledge of the horses. After several rounds of competition, a champion will be declared! Pony Olympics—These are a series of games and competitions played over the course of a day on horseback—games like: Trap, Hide and Seek, and Capture the Flag. A big draw for our returning Horse Camp wranglers is the lure of the coveted Bronc Ride. A hard-earned bounty for only our most advanced riders, these buckaroos spend their time at the corral preparing for a 26-mile ride to the Jordan River Valley. After working up a man-sized appetite, they feast on a delicious chuck wagon dinner before making their way back to the corral! Safety is a #1 concern with all of CSM’s activities. Our corral instructors are all trained according to the ACA Equestrian Management and the State of Michigan standards. Campers are always supervised by a trained staff member and appropriate safety equipment is worn whenever riding, including an ASTM approved riding helmet. (CSM provides helmets; however, campers may wear their personal helmet if it is ASTM approved and deemed in good condition by CSM’s riding staff).